This website provides various travel tools to make the task of travel bookings, finding travel information, finding locations, and so on easier, as it it all in one location. You can book airlines, cruises, trains, cars, hotel and hostel accommodation through various associated booking web sites. You can find places, look at maps and determine travel routes. Currency conversions, ATM locations, travel warnings, travel tips, immigration and visa requirements, the time at locations around the world, country facts and figures and more is available all in one easy to use location. 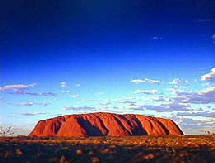 Aussie GlobalTravel is the one stop shop for all of your travel needs. Also, the three photos on this page are links - click them and see where they are. As well, the two graphics are also links - click them.